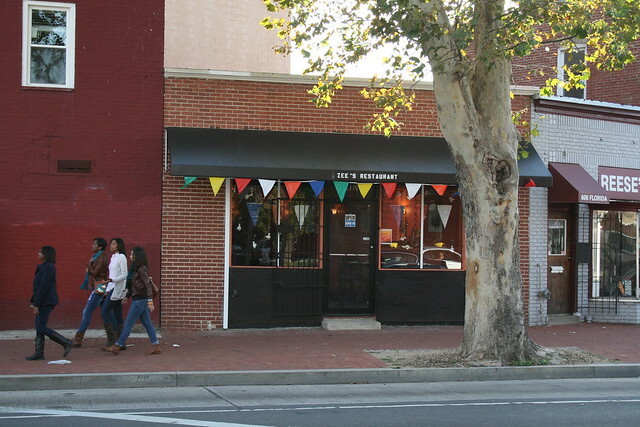 In January Tom Sietsema, the Post’s food critic, gave Zee’s Restaurant (600 Florida Avenue) a highly positive review. In fact, the restaurant is now listed as an editor’s pick on the Post’s website. Curried goat, cooked over a low fire until the meat is tender, is almost a meal for two when you factor in the accompanying lettuce salad, the chunky potatoes and the folded flatbread known as roti. Chicken stew, seasoned with thyme and other herbs, comes with a shovelful of pigeon peas that are flecked with carrot and corn. (They could use a sprinkle of salt.) Shrimp, oxtail, beef and mixed vegetables are among the featured ingredients that are either curried or stewed, take your pick, at Zee’s. We’re happy to see neighborhood businesses succeeding. Zee’s Restaurant is great – the food is solid, and service is homey and welcoming. However I can’t help but noticing that the place is often on the empty side. I wonder whether with the new Tavern opening next door foot traffic will increase to its benefit. I also wonder whether Zee needs to market its place more on ‘Caribbean’ food (vs. only Trinidadian) to make it more appealing to a wider audience, and/or organize happy hours / evening thems, or a band or something to draw larger crowds. Good luck and I hope they make it!